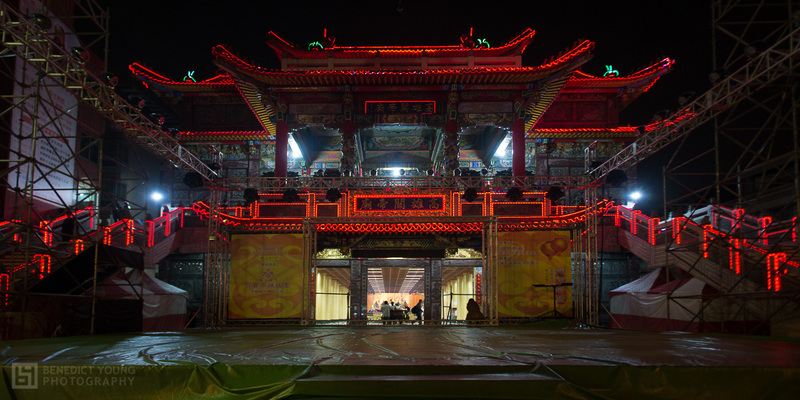 Kaohsiung Temple 高雄關帝廟 is unmissable in the skyline of Kaohsiung’s Lingya District, with red neon strips adorning it’s traditional gabled temple roof. 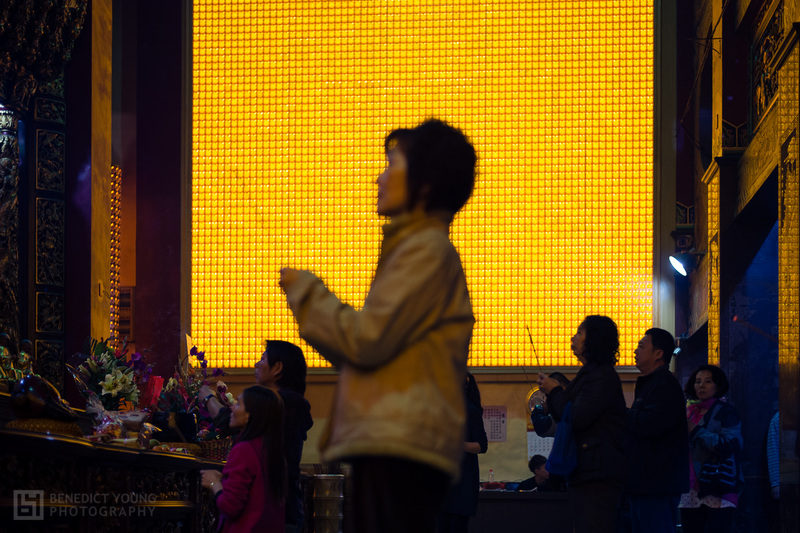 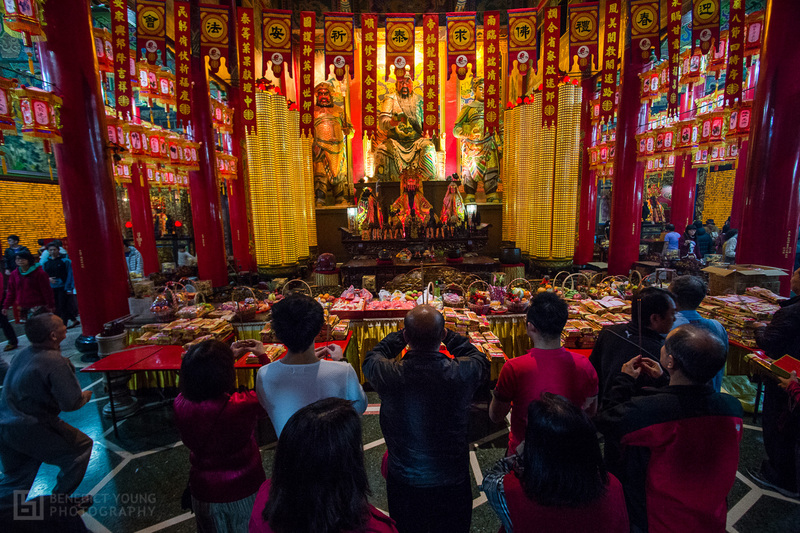 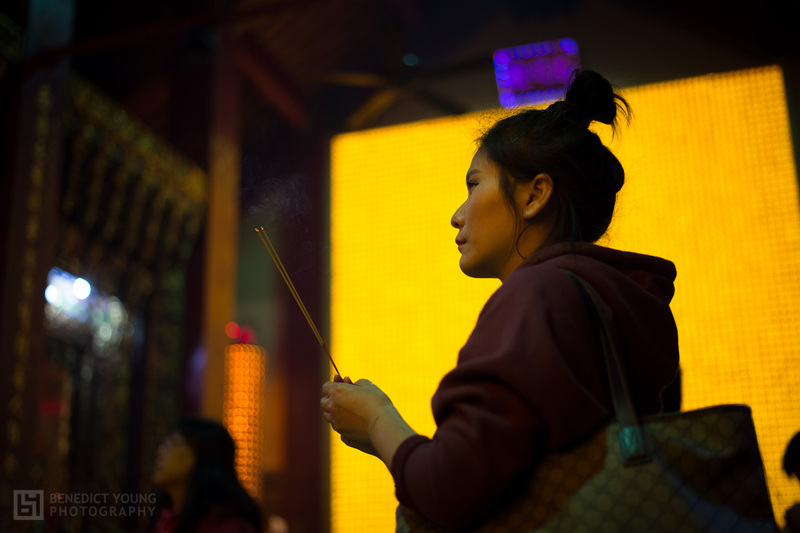 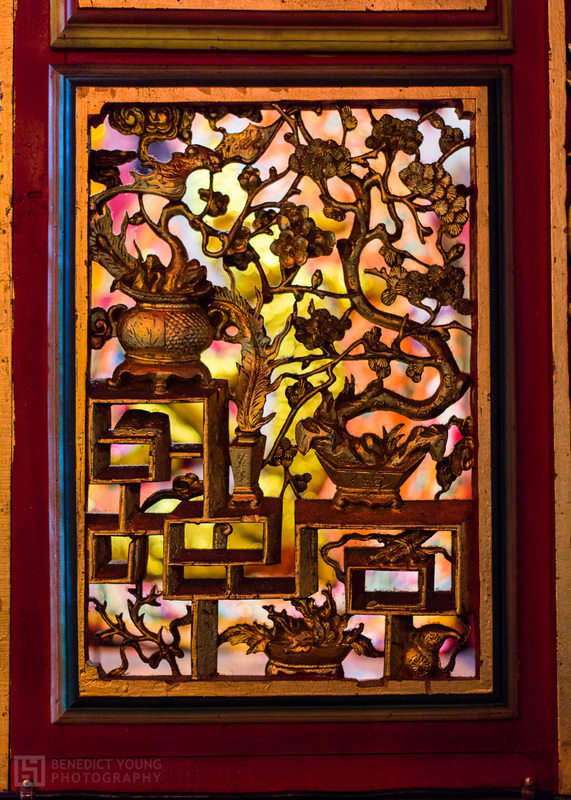 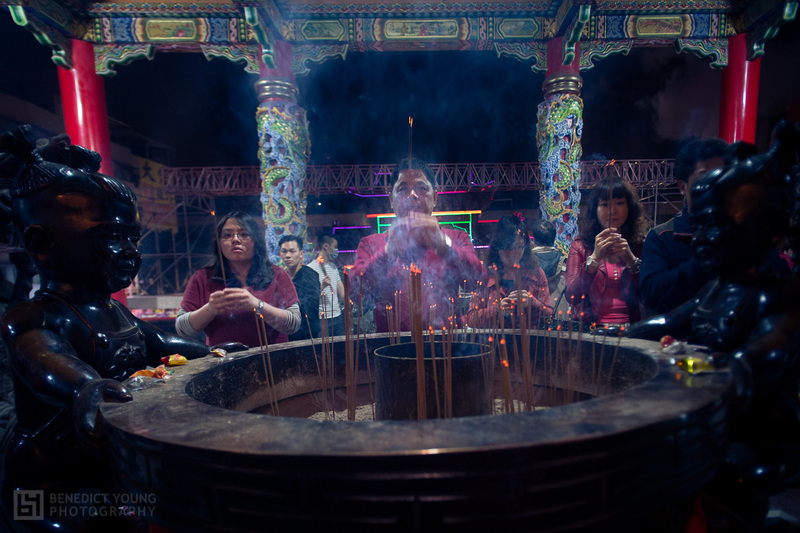 Today is Lunar New Year, so crowds have flocked to the temple to show respect to the temple deities and seek good luck and fortune in the new year. 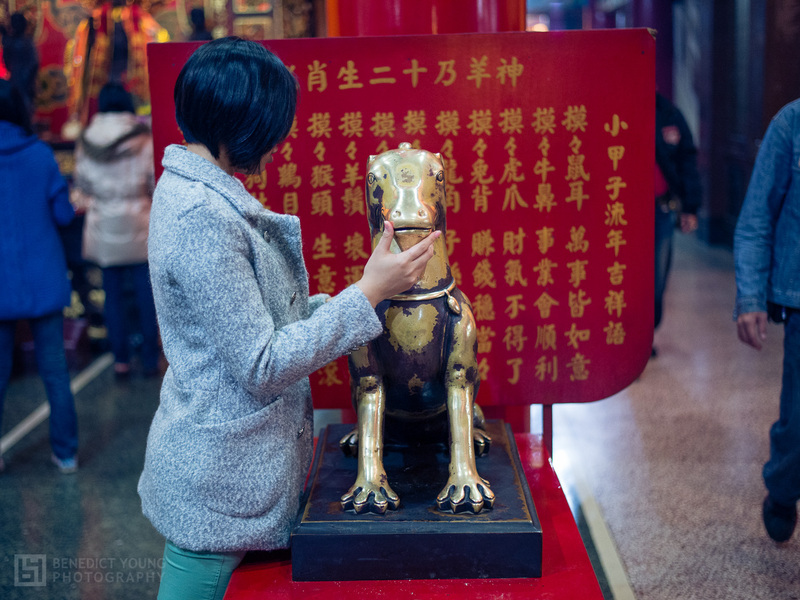 This new year is the ‘Sheep Year’ 羊年 (in fact, ‘羊’ in Chinese has the combined meanings of sheep, ram and goat). 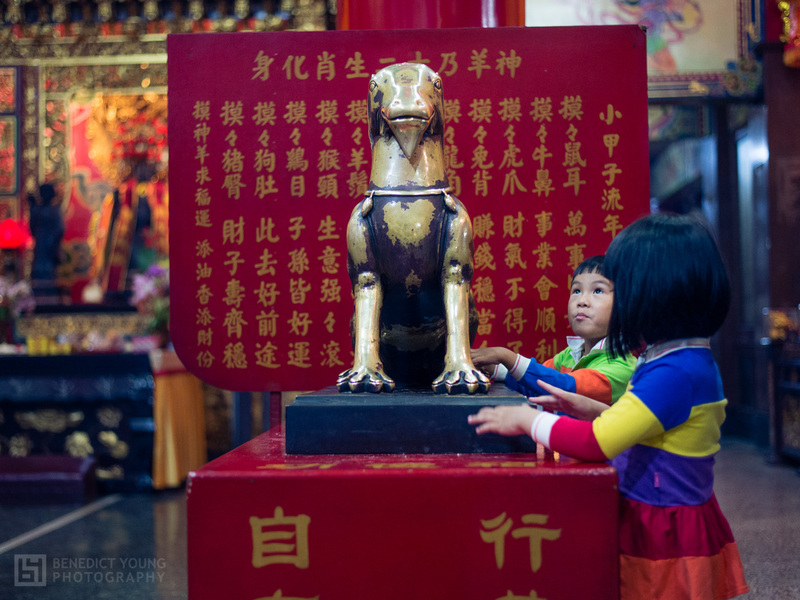 At Kaohsiung Temple a metal goat is on display with a sign behind it that reads ‘stroke the goat’s beard, send away bad luck’.